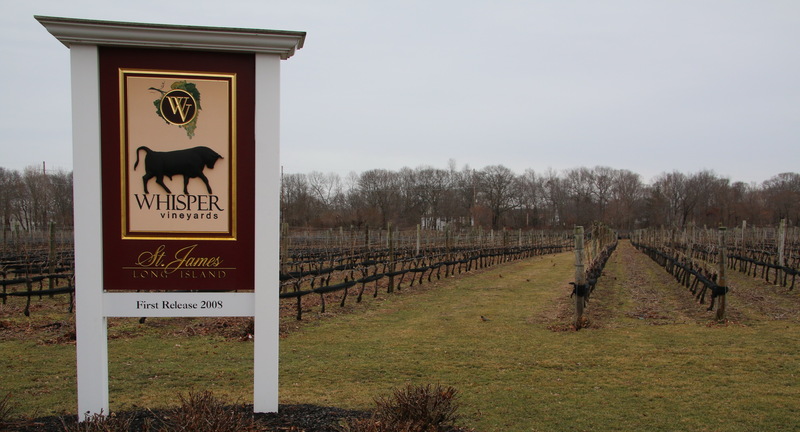 Whisper Vineyard is well off the beaten track in Long Island, given that it’s located in St. James, which is near Stony Brook, close to the middle of the Island and miles from the North and South Forks that comprise the East End. Owned and operated by Steve & Laura Gallagher and Barbara Perrotta of Borella’s Farms. They believe that by continuing the agricultural use of their land, they can help to retain the farming history of Long Island and preserve their family’s farming roots dating back to 1945. In 1950, Joseph Borella purchased the properties known today as Borella’s Farmstand. In 1954 he married Theresa Scarcella, founder of Scarcella’s Florist in Cold Spring Harbor. Together they raised their two daughters, Barbara and Laura – instilling in their children a passion for the land and a strong work ethic. Farming was a family way of life. In 1967, Joseph diversified from potatoes and cabbage to a larger venue of vegetables along with floriculture and horticulture, spearheaded by his wife Theresa. He farmed every single day until his death in 2008 at the age of 89. Their son-in-law Stephen Gallagher joined the family business in 1986. Steve developed a great passion for the land and deep appreciation for farming. Looking to keep their agriculture roots intact and to keep the family farm viable, Steve began extensive research into vineyards, wine and winery production. Studying geological climate, soil conditions and which clones would be most compatible with the terroir, the family planted their first clones in 2004. It all began when Steve thought to use a patch of ground that was lying fallow as a vineyard. He spoke to his father-in-law and asked if he could use that land for a few years. Joseph replied, “Fine, go ahead. I can plow it up any time.” What can one say, it was a father-in-law/son-in-law relationship. Thus were vines planted on 14 acres of an 18-acre plot. 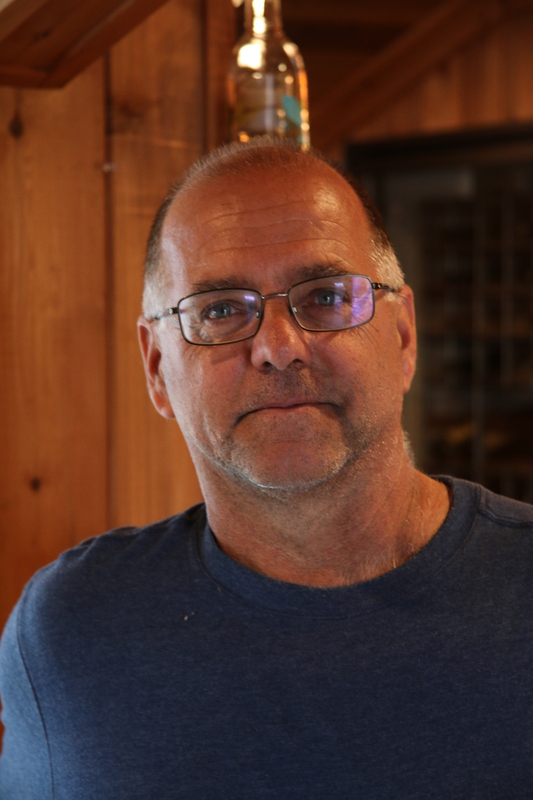 The vineyard is currently maintained by Michael Kontokosta, who in addition to being an owner and the vineyardist at Kontokosta, is also a vinicultural consultant. The varieties planted included three Dijon clones of Chardonnay, three clones of Merlot, Napa clones of Cabernet Sauvignon, as well as a small patch of Malbec, some Albariño, Cabernet Franc, and Pinot Gris. The Albariño was planted by accident when it came mixed in with an order of Cab Sauv. They use the small amount of Albariño they have to blend in with the Chardonnay to give it greater depth and definition with a touch of lemon zest. All the wine is made on contract by Eric Fry at Lenz, and the wines are made to reflect the soil and climate of the vineyard’s area of Long Island. Well, there is one exception: Whisper buys Sauvignon Blanc fruit from Raphael and has the wine made by Anthony Nappa. With respect to the wines made from estate fruit by Eric, there is little question of the winemaker’s hand at work, but it enjoys the character of its distinctive terroir. All the wines sampled were of very high quality, which is to be expected, given the winemakers. The vines are grown sustainably in what Whisper Vineyards’ owners feel reflects a deep respect for the land. Although not members of the LISW program, they were thinking about sustainability from the very beginning. For example, they purchased a tunnel sprayer to contain the sprays and prevent drift. After all, they have a school nearby and neighbors living in the area. Thus, Whisper Vineyards wines are crafted with grapes that are sustainably-farmed and hand-harvested – just like the vegetables at Borellas Farm have been for over half a century. In fact, there is no mechanical harvesting at all, and picking and sorting with care by hand are crucial to the quality of the wine that’s made. According to Steve Gallagher, an important advantage enjoyed by the farm and the vineyard is its isolation from the vineyards on the East End, particularly those of the North Fork. In his view, having so many vineyards cheek by jowl means that disease, spray drift, and so on are too easily shared across properties. To him, this isolation has meant that when problems, such as fungus and mold, are encountered at the vineyards to the east, they have little or no effect on Whisper’s vines. Another point he made is that having taken six years to research viniculture meant that he was able to select the best clones and rootstocks for his vines—something that earlier vineyards had to learn by trial and error. Before he planted anything he examined the soil in the fallow field and determined that it had an organically-rich topsoil four feet deep with two feet of clay beneath that. Indeed, Steve told of how his father-in-law, an experienced farmer, was looking for property to buy for a farm in 1950, and coming to this property, took a handful of soil in his hand and compressed it, thereupon making an offer to the then owner. That’s how good the soil is. They opened the Saint James Tasting room/Wine Boutique in November 2013 for tastings, wine sales, wine gift-related items & small events. Open Fridays and weekends, they offer music every weekend. They have a wine club as well, with a nice selection of wines: Sparkling, Chardonnay, Pinot Gris, Dry Rosé, Sauvignon Blanc, Off-Dry Riesling, Merlot and Cabernet Sauvignon. They also offer reserve wines: 2007 Chardonnay, 2007 Merlot, and a 2007 Red Cape Blend. 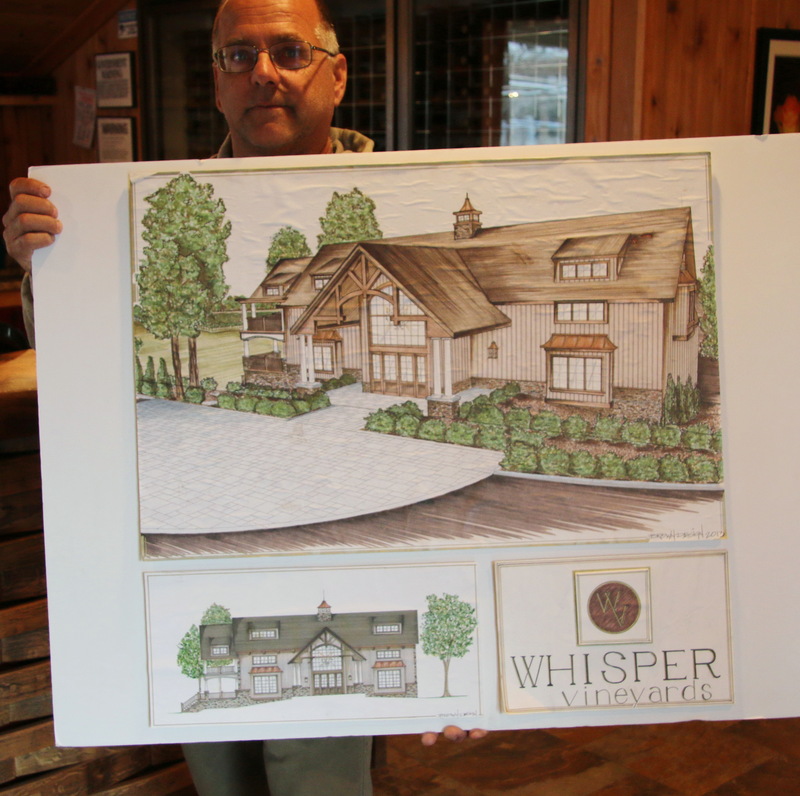 Whisper has a big secret as well: plans to build an impressive new tasting room, as seen in the elevation plan at left. Perhaps a winery could be installed as well, but all of this is well down the road, as at present the only impediment is money. After all, they do not have the deep pockets of a Wölffer, Raphael, or Kontokosta, but they have the passion. This entry was posted in Vineyards, Vinification, Viticulture and tagged Barbara Perrotta, borella farm, Long Island AVA, Long Island wine, steve gallagher, whisper vineyards on 17 January 2016 by JoseM-L.